Multi-starrer Bollywood Movies have always been the best dose of entertainment. No matter what, they always manage to mint Crores on Box-office. From Golmaal to Race, all of them were turned into movie franchises to achieve one aim – mint Crores at Box-Office. Not to be surprised, almost each of them did pretty well at Box-office even if they fail to entertain us. 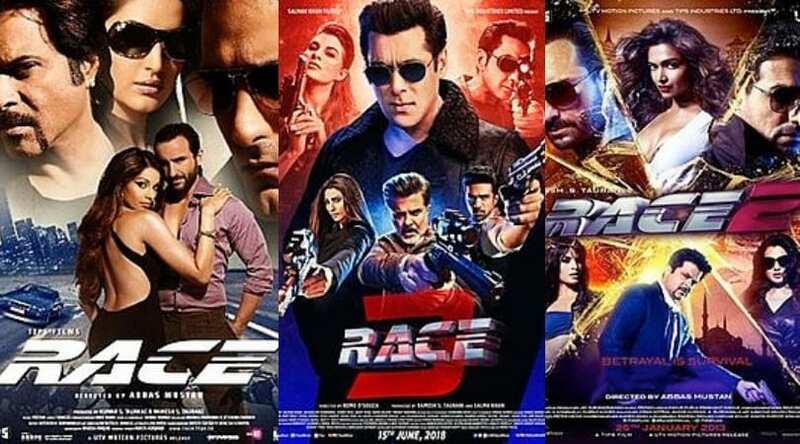 The Race Franchise – Race (first released in 2008), Race 2, Race 3 – always had a stellar star-cast and became one of the most successful franchises with three movies to its credit. The last one – Race 3 – no matter how brutally fucked up it was still managed to grab Crores. The Bhai-studded movie of Bollywood, Race 3, went ahead to mint 300+ Crores but who cares for a storyline when it has Salman Khan doing the action. Next in the list is the Housefull movie Franchise which also has 4 movies to its credit (Housefull 4 released in 2019). The first movie of this franchise came in 2010 and since then it has always tickled our funny bone. Well, as the franchise started moving ahead with more movies – the storyline became less meaningful but all is acceptable when it has Akshay Kumar in it. Undoubtedly, all the movies have gained the mass appeal at the Box-Office and among the audience. Although, the Welcome series has only two movies in its bag (we are very thankful) yet it went on to be regarded as the best comedy series of its time. No matter how uneasy the storyline was in Welcome Back, we still couldn’t hold ourselves but to laugh our asses out. Now, this is what you call as “The best Multi-starrer Bollywood Movie Franchise of all times”. It is like whatever Rohit Shetty makes now in this series, it will certainly mint crores at Box-Office. According to Hindustan Times, even Rohit Shetty confessed that Golmaal Returns (the 2nd movie in the franchise) was a crap. But hey who cares when you can make the audience laugh for the next two hours in theaters – that’s all you need to gain the audience trust. Our personal favorite – Dhamaal movie Franchise has been something that we could have never forgotten. Although the second movie, Double Dhamaal couldn’t get hold of the audience laughter and failed at Box-Office, this franchise is all set to have a third movie. Yes, Total Dhamaal is the next movie in the Franchise which will see the light of the day on 22nd February 2019. ← John Wick: Chapter 3 Official Trailer Released, Watch Now!